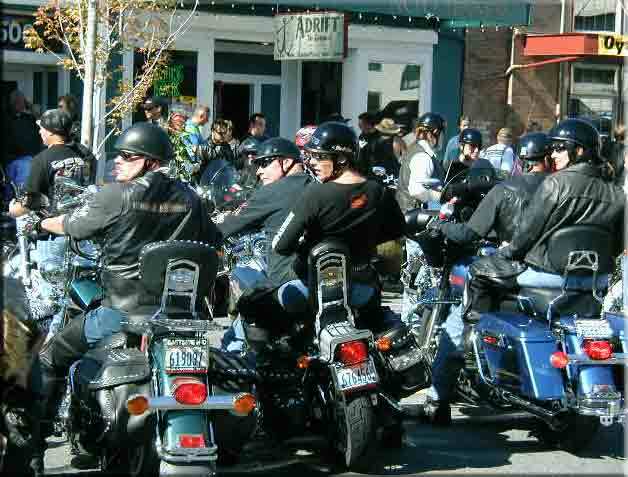 We had 20,000 motorcycles this year. 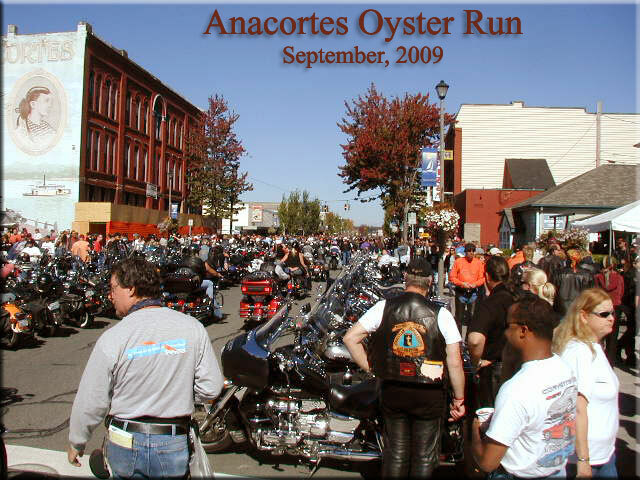 The Oyster Run is held the last weekend in September, and usually marks the end of the Anacortes summer. 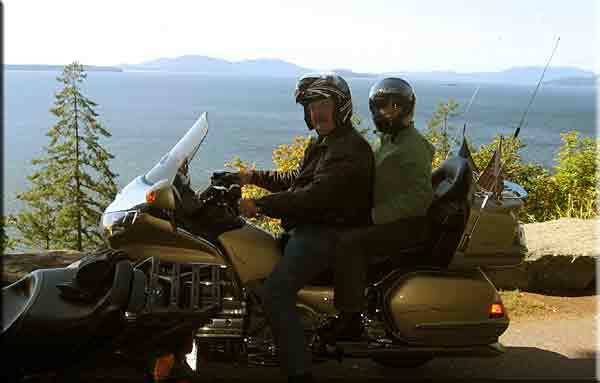 The tradition is to show off one's motorcycle in Anacortes, and catch a ride along the coastline, stopping at the various restaurants and bars for oyster shooters and good seafood. My cousins, Robert and Joyce, and Robert's wife, Ginny came up from Vancouver, WA, to join us in the weekend fun. 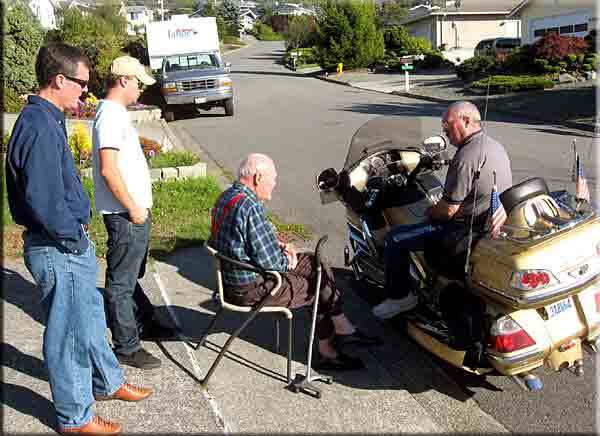 Robert rode up their newly acquired Honda Goldwing. 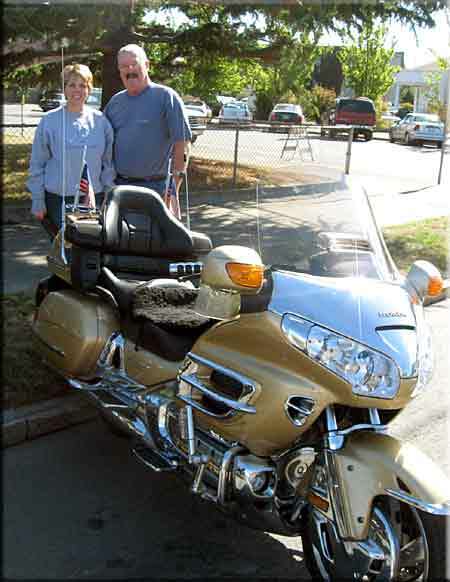 Robert and Ginny with their Goldwing. It even goes in reverse. My father loves Goldwings. 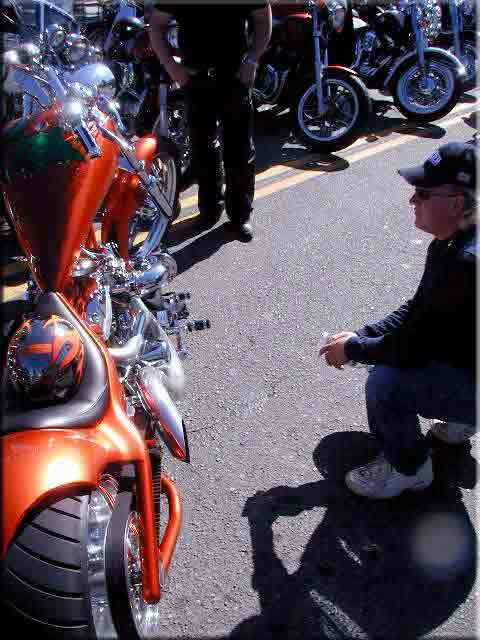 Robert showing the bike, with my brother, Sam, and nephew, Steve, looking on. For our Oyster Ride, we rode the scenic Chukanut Highway to Bellingham, but opted for mochas in place of oysters. 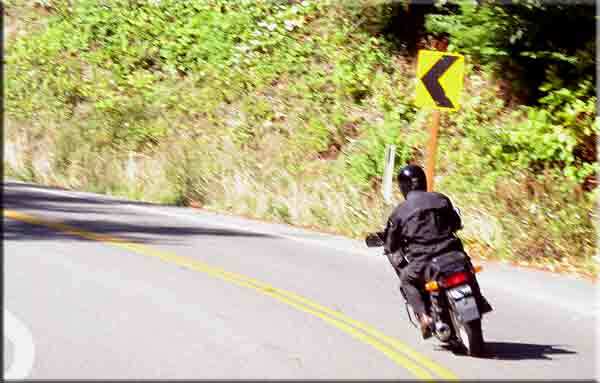 Yours truly on a Chukanut curve. Ginny taking a self portrait. Most of the photos on this page were taken by Ginny. 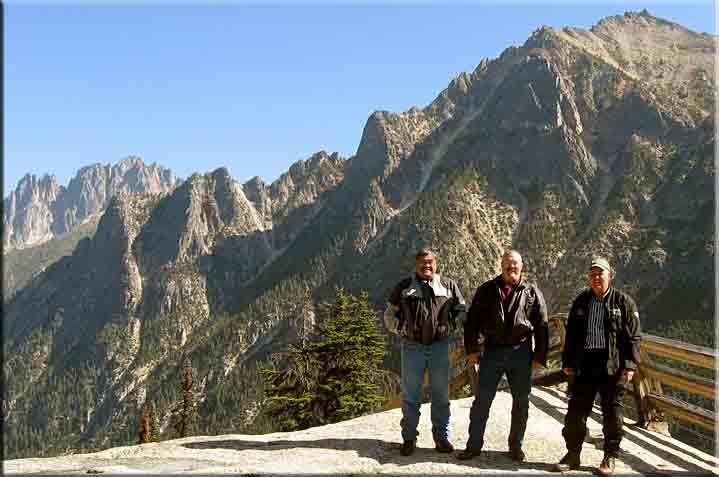 On Monday, Lope joined Robert and me on a ride over the North Cascade Highway. East of the mountains, we came to the cowboy town of Winthrop, where Robert headed east to explore Washington for a few days. 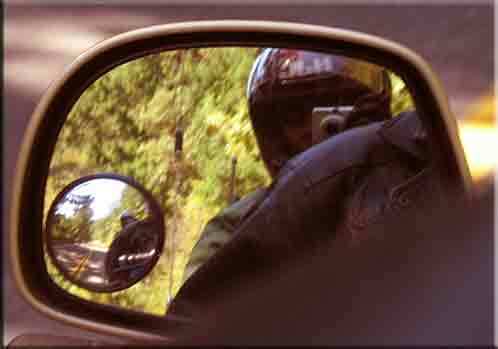 Lope and I turned south and rode along rivers, lakes and apple orchards to Wenachi, where we turned back west and re-crossed the Cascade Mountains on Highway 2. Our last hour was in pouring rain, but it had been a fantastic 450 mile day. A steep descent down the east side of the Cascades.